Thanks to Biohazard, Trauma & Crime Scene Cleaning for the fast and professional clean up of my sewage leak. They arrived the same day and had the sewage cleaned up and decontaminated within 3 days. I would certainly recommend them to anyone who has a raw sewage leak in Brisbane. 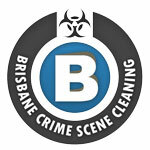 Brisbane Crime Scene Cleaning is a local business specialising in biohazard, trauma and crime scene remediation throughout the Brisbane and greater Queensland & Northern NSW region. Death, traumatic injury and hazardous contamination clean ups are events very few people ever anticipate to experience.